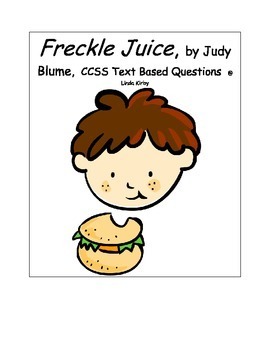 CCSS Text Based Novel Questions, Main Idea & Acrostic "Freckle Juice"
Reading Comprehension Questions. 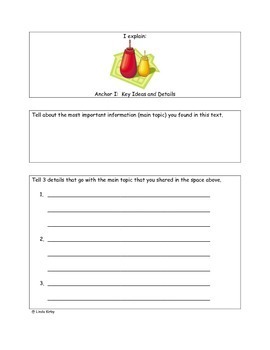 Beneficial for large groups, small groups, and RTI groups, or individual students. Students are required to provide constructed responses (CRA) which help in the preparation for PARCC. 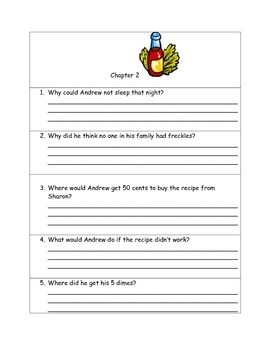 Answer questions specific to the text. Find details in the text. Describe how characters respond to events. Write an acrostic about the main character.